BODYQ® is a unique, integrated body testing tool that is used for assessing movement, function, general health, balance, and recovery. 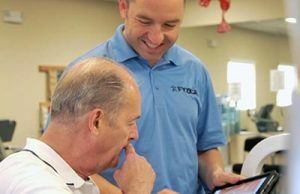 Knowing your BODYQ® score will allow you and your physical therapist to outline a plan for wellness and improved quality of life. BODYQ® is an analysis system refined from years of successful client outcomes. It combines a dynamic set of measurements with state-of-the-art functional imaging, bundled together in a user-friendly technology suite with full-color graphics and easy-to-read results. 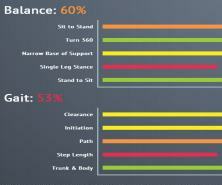 Each client receives an overall BODYQ® score as well as individual scores for specific body parts. The individual scores will make it easy to monitor and track progress in those areas, allowing your physical therapist to make customized improvement plans for your unique body goals.